This news is a big damn deal to die hard fans of Firefly and Serenity (we call 'em 'Browncoats'). Apparently there are some Browncoats at NASA and they have managed to get DVDs of Joss Whedon's television show and movie up to the International Space Station. 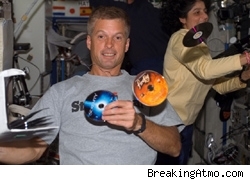 Astronaut Steven R. Swanson is the fan who just returned from the ISS after delivering the DVDs (oh yeah, and other important astronaut/survival supplies). There's a fan page that blogs about it called Breaking Atmo. 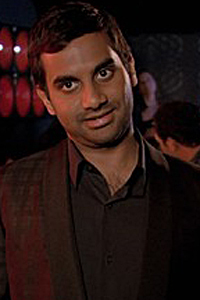 The most recent posts has all sorts of photos of Firefly and Serenity DVDs floating in space. One of the blog posts says that "Swanny" got the other astronauts addicted to Firefly while they were all in quarantine for five hours before the shuttle Atlantis launched earlier this month. I've also heard that there are a number of astronauts at NASA who are addicted to Battlestar Galactica. Can you blame them?!? I bet they love how realistic the "no noise in space" thing is. Can we send up Space: Above and Beyond too? It's always good to see the show attract a few new fans. I can't think of a better way to spend five hours in quarantine! A guy I work with used to work at Cheyenne Mtn. and always jokes that some of the stuff goes on there ranks up with SG-1. 'The Glee Project' Recap: Who's in the Finale? 'America's Next Top Model' preview: The all-star divas are back! The Glee Project Recap: The Kids Stay in the Picture, But Who Deserves to Win It All? Big Brother Recap: State of Emergency! Fall TV Premieres Calendar: Save the 101 Dates! Falling Skies - What's the Frequency, Benneth? Find what's new on TV shows, television series, and episodes online. © 2011 AOL Inc. All Rights Reserved.